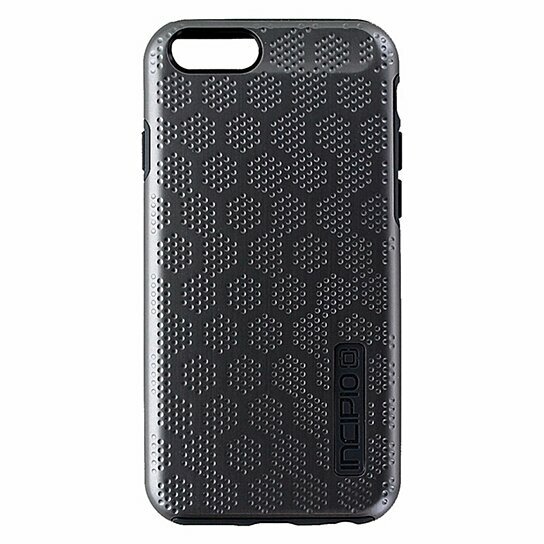 Incipio brand DualPro Tension Protection Case for Apple iPhone 6 and iPhone 6S. Metallic Gunmetal finish and a Dark Gray interior. Military drop tested, 2 layers of defense, sleek aluminum style finish.